American wood products firm Georgia-Pacific held an event last Monday to mark the commencement of construction on its new, $135 million softwood lumber plant in Warrenton, GA. 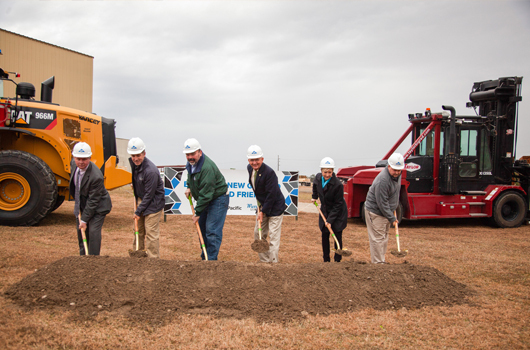 Replacing an aging plant also located in Warrenton, the 340,000-sq-ft production facility will create about 30 to 40 new jobs the site becomes operational next spring. “We have a great team at Warrenton and building a new state-of-the-art facility on this site will make it competitive for years to come. The team has earned it,” Fritz Mason, vice president and general manager of Georgia-Pacific Lumber, said in a company press release. The plant will be able to receive 185 truckoads of pine logs per day and feature a production capacity of 350 million board-feet of lumber each year, a rate that Georgia-Pacific said is “three times” higher than the existing plant at Warrenton. Georgia-Pacific said the site is one of three major expansion projects that it has recently undertaken. A new mil opened in Talladega, AL this November and a new mill in Albany, GA is slated to open in late 2019.